Do you feel like you are spending more than you should at the grocery but don't know where to cut back? Or, when you swipe your card at the store you look at the amount and wonder, "how can food be so expensive?" And the trip to your favorite store for one item and then leaving with $100 worth, telling yourself "I only came in for one thing!" We all have felt that pang in our chest when we throw out uneaten food at the end of the week -which adds up to $1200/yr on average for Americans. Food waste, going over budget, spending on unnecessary items... how can this be prevented? With families spending 40% more than they should each month on household items and with credit card debt being the #1 issue for most families ($5,700/average debt in 2017) -there's just no reason to let it keep going up, up, and up! ​So what's the cause of spending more at the grocery? Hi, My name is Laura Fuentes, and I've been meal planning and budget-shopping for nearly a decade. I used to shop at several groceries weekly, with multiple trips, and bought many things just "because they were on sale." Of course, most went uneaten at the end of the week, and I felt guilty for going over our budget. With 3 young kids and trying to grow a business, I didn't have time to clip coupons or shop around for the best deals, so I spent more and bought the same foods repeatedly because I didn't think fresh foods on a budget was possible. Then I launched MOMables. And since, I've created hundreds of weekly meal plans for thousands of members that add variety to their family's meals with affordable, fresh, and easy to find ingredients. 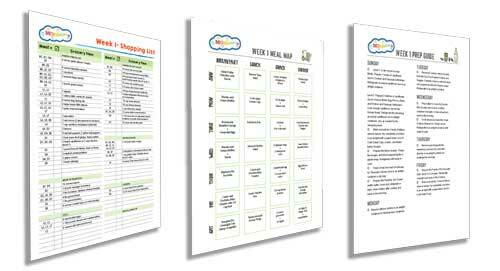 The MOMables Meal Plans have cracked the code on keeping food costs down for families while incorporating fresh foods into a weekly plan. This process is simple, easy to implement, doesn't rely on clipping coupons or eating rice and beans to keep costs down. And I'm very excited to share it with you today. 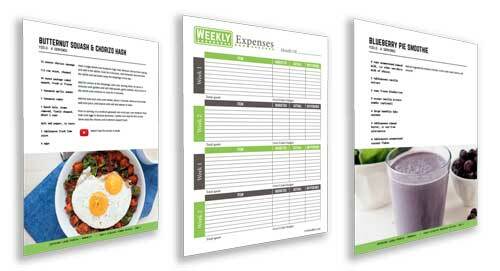 A brand-new complete program to teach you how to meal plan, grocery shop, and trim down your food expenses. the guide includes everything you need to take control of your budget. What do our previous Budgetize members think of the program? I was frustrated with not knowing how to spend less on food. I don't have time to clip coupons and my family doesn't eat pasta. Budgetize was exactly what I needed to get myself organized, create a plan, and learn to trim down my food budget by $40/week, while eating REAL and FRESH FOOD! I used to think that "budget eating" meant eating cheap foods (like rice and beans) or couponing for items made with processed ingredients. But with Budgetize, I've learned how to stretch wholesome foods and with a plan, my family is eating better than ever! 4 Weeks of fresh, budget-friendly dinners. Including all recipes. WILL BUDGETIZE WORK FOR MY FAMILY? YES. The strategies inside Budgetize will work for any family wanting to learn how to meal plan and combine ingredients to reduce food costs, shop efficiently, and meal prep like a boss so you can make the meals you planned for. We have food allergies and specialized diets, is Budgetize for me? When you start buying specialized products (gluten-free, gain-free, dairy-free) you will notice an increase in food spending. Budgetize will help you get all your meals planned, organize your ingredients, and figure out where to purchase your specialized food items so you are getting the best pricing. After that, you repeat the process weekly. i want to save money. WHY SHOULD I SPEND MONEY on a program? By eliminating excess food spending and introducing proper meal planning and shopping, you'll start seeing how much money you're saving within weeks of starting the program. This way, you'll not only make the price of the program back, you'll save many times the cost of the program each month. You can think of Budgetize as a small, one-time investment into a long-term solution for saving money on food. Will Budgetize help me save money? When you apply the strategies each week; you'll reduce food waste, eliminate buying ingredients you don't need, and impulse buys. These account for 40% of most American's food expenses, so you'll definitely see the savings. How much money will I save with Budgetize? Clearly, this will vary by family. Our test families saw a 20% reduction on food expenses after the first week when they followed Budgetize. Having an organized plan was the key to their success and Budgetize helps you do that. How is the cost-per-meal inside the plans calculated? The simple answer: we purchased every ingredient at Walmart, added up the costs, and divided it by serving size. Pricing will vary by the product's brand purchased. We followed the most economical approach. What kind of recipes are in the dinner meal plans? There are 5 dinner recipes in each weekly meal plan. They are just like the Classic Meal Plan. They include meatless meals, skillet dinners, slow cooker meals, and more. All recipes are made with fresh and real foods, no boxed mixes, with a variety of ingredients. can I modify the dinner recipes to be allergy friendly? Just like the MOMables' Classic Meal Plan, you can substitute any traditional food item, such as pasta, with gluten-free pasta. This is the case with bread, doughs, etc. There are many recipes in the meal plans that are naturally gluten-free. There is some dairy in the meal plans but in most cases, it can be omitted or subsituted with a dairy-free alternative. Eggs are present in a few dinner recipes out of the 4 weeks. In a couple meals, you can simply omit the eggs. The other, you'll have to substitute the recipe for another. Nuts are not part of the dinner meal plan. As always, we do our best to include recipes that are flexible enough to be modified with allergy-friendly substitutions. We follow a vegetarian/vegan lifestyle. Is Budgetize for me? You will find a lot of value from the program, all the printables, and bonus materials. You will learn how to organize your meal planning and shopping so you save on the items you purchase. However, the dinner recipes are not designed for vegetarian and vegan diets. I have a large family. Is Budgetize for me? You can't do without it! 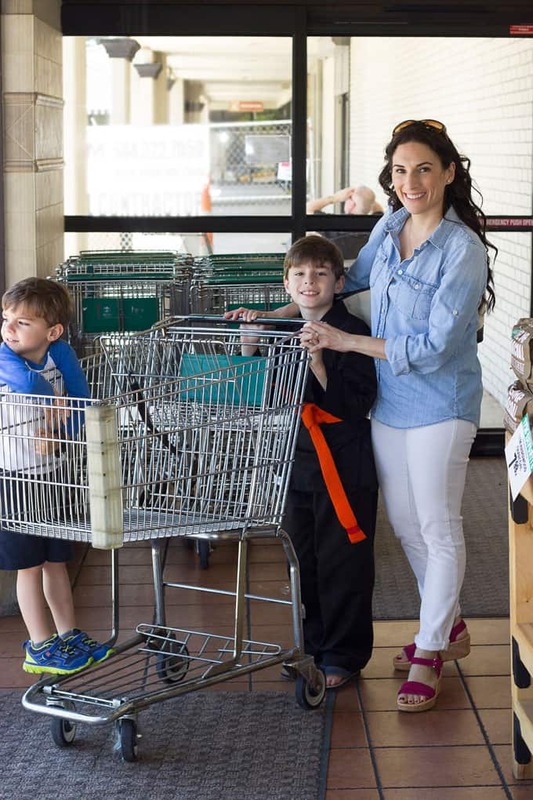 If you have a large family and don't use the strategies inside Budgetize to get your meals planned and your shopping organized, you are definitely spending too much on your groceries. Budgetize is NOT a couponing program. There's a small section where coupons are covered, but it does not rely on coupons to get budget-friendly meals made. How long does it take to complete the program. Is there a start date? There is no "start" date for Budgetize. When you purchase the program, you get everything you need delivered in your inbox and have immediate access to download the materials. Read the guide, print out the meals and recipes, and you are on your way! What happens after the 4-weeks of dinner meal plans? After the 4-weeks of done-for-you meal plans, most members build their own meals. 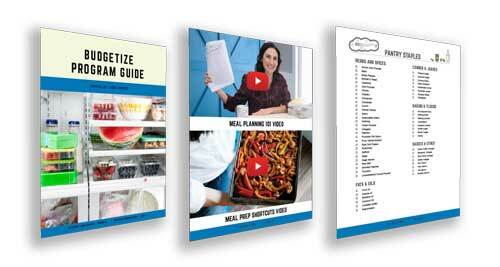 Budgetize will teach you everything you need to create your own budget-friendly meal plans. For members that want a done-for-you solution, we offer another volume of Budget Meals and the Classic Meal Plans. What about the other meals: breakfast, lunch, and snacks? Budgetize covers all meals of the day; including how to save money on the other meals. As an added bonus, we include some recipes for the other meals as well. We offer refunds on a case-by-case basis since you receive everything upon purchase. 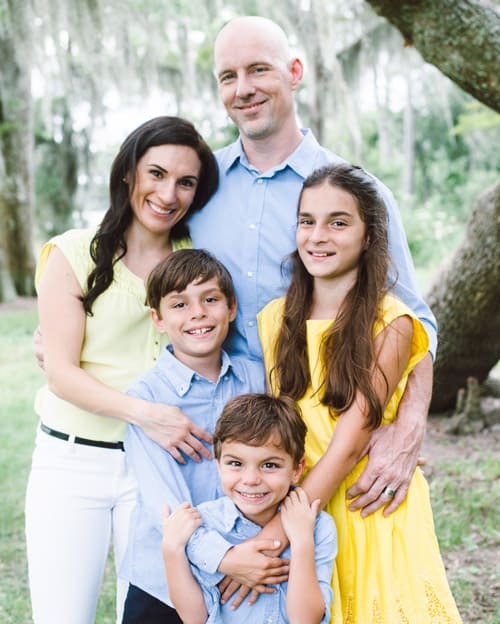 We feel every family can benefit from the strategies inside Budgetize an will not offer a refund because a member does not implement the strategies. If you want to save money when planning and shopping for meals, Budgetize will teach you how to do that. I'm so excited to have had the opportunity to share Budgetize with you. I Know that once you open up everything that's included in the program, you'll finally feel like you have the tools you need to take control of your food budget. I believe that, with Budgetize, you'll learn how to make budget-friendly meals made with real-food ingredients. You don't have to sacrifice nutrition when budgets are tight, so I hope you give me the opportunity to show you how. I'd love to get to know you and your family better. The easiest way for us to stay in touch is on Instagram. Find me under @LauraSFuentes and @MOMables. If there's anything you are not satisfied with, email me directly within 14 days of purchase (help@momables.com) and we'll see if there's anything I can do to support you. THIS PROGRAM PRESENTS THE RESEARCH, EXPERIENCES AND IDEAS OF ITS AUTHOR. IT DOES NOT MAKE CLAIMS TO SPECIFIC RESULTS OTHER THAN THE ONES EXPERIENCED BY PREVIOUS MEMBERS. CONSULT WITH YOUR HEALTHCARE PROVIDER BEFORE STARTING ANY SPECIALTY DIET. THE AUTHOR AND THE COMPANY DISCLAIM RESPONSIBILITY FOR ANY ADVERSE EFFECTS DIRECTLY OR INDIRECTLY FROM INFORMATION CONTAINED IN THIS PROGRAM. BY PURCHASING THE PROGRAM YOU AGREE TO THE TERMS.